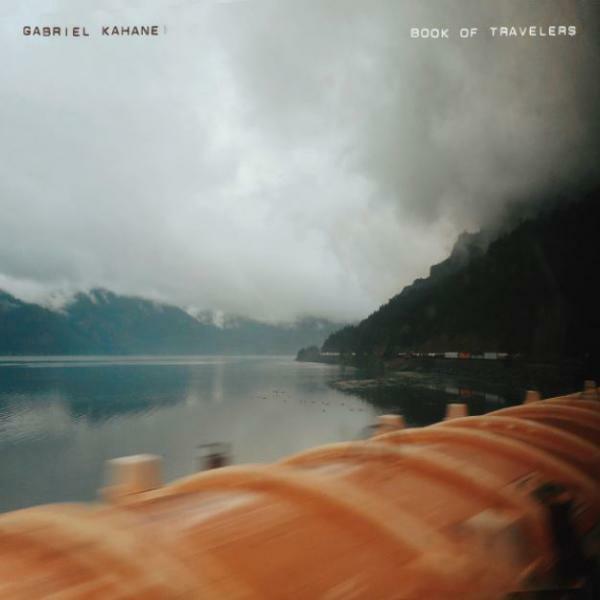 Gabriel Kahane, Book of Travelers. 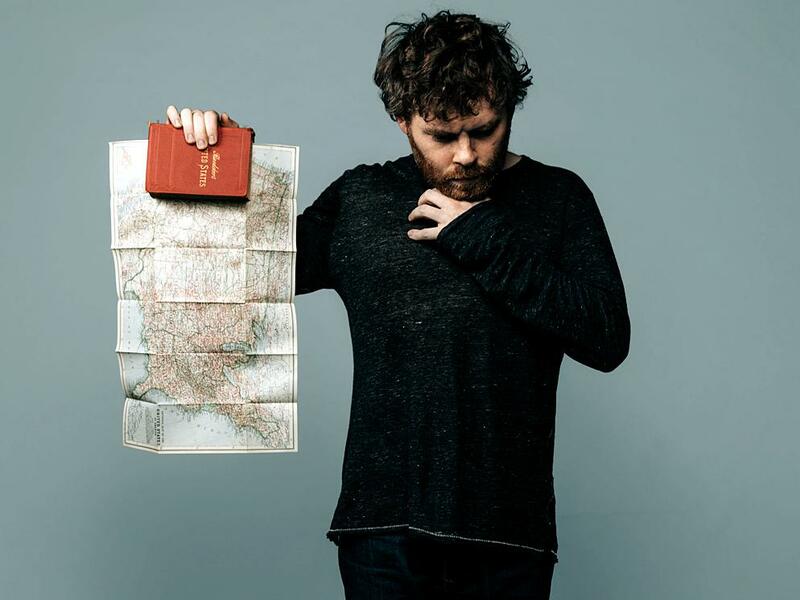 A few weeks before the 2016 presidential election, the composer Gabriel Kahane decided he needed to take a journey. So the day after the votes were counted, Kahane boarded an Amtrak train, left his smartphone behind, unplugged from the Internet and spent the next two weeks riding across the country, talking with people. GABRIEL KAHANE: I was having, you know, three meals a day with strangers. And I kept a diary, a prose diary. I think I wrote something like 70,000 words while I was on the train basically recording from memory every conversation that I had in the dining car. (Singing) And I want to tell you about November, the people that I met and sleeping badly on Pullman pallets, blue blanket caked in sweat. SHAPIRO: That is Gabriel Kahane at the piano in our studio here at NPR in Washington. He came in to play a few songs from his new album, "Book Of Travelers." The record is all about his experiences riding those trains in November 2016. KAHANE: I had this perception for a while leading up to this election that some of the polarization that we were experiencing was manufactured by - not just by the Internet but also by media and in a sense by a kind of ruling class that benefits from division. SHAPIRO: When you describe the project, it sounds very political and sociological and anthropological. When I listen to the album that came out of the project, it sounds very specific and personal and individual. KAHANE: Yeah. I mean, I think to me to the extent that there is a politics to the piece, it's a plea for empathy. And I think songwriting is a way to deliver that message. I think that empathy is one of the primary currencies of any kind of storytelling, and songwriting is no exception to that. (Singing) I've come to peck the faces, all of the faces off of every clock, then set myself to ponder the golden shoals, the clouds, the rotting dock. There's a way in which this album is a listening tour - you know, a very, very tiny listening tour. I talked to maybe 70 or 80 people, and then I've given you kind of these snapshots of that experience. SHAPIRO: One really vivid snapshot comes through in the song "Model Trains." Will you play it for us? KAHANE: I would be delighted to. (Singing) The man who played with model trains in the furnished basement painted black, how it pleased him every day - the pattern of the rail, the pattern of the tiny track. One night he slips and hits his head as he reaches for a sleeper car. And the lights kept blinking red, now level with his eye his miniature Place de la Gare. SHAPIRO: You're playing all of these songs on a piano with a mute. KAHANE: Yeah. This is one of the benefits of the Yamaha U1. SHAPIRO: The kind of piano you're playing right now. KAHANE: The kind of piano that I'm playing right now, yeah. SHAPIRO: Listeners can't see, but in the piano where the hammers hit the strings to make the noise there is a strip of felt between the hammer and the strings. So every note you play has that slightly muffled quality. SHAPIRO: Why did you decide to keep this so spare and so quiet? KAHANE: I think we just found - you know, not to be overly literal, but there is this kind of somnolent, nocturnal quality to the sound of that mute. And I wrote all of this music thinking about a period in which I was extremely isolated in some ways, you know, in this tiny, little sleeper compartment. (Singing) And the model trains keep going round. Something about that sound just felt like it lent itself to the emotional register that some of this music traffics in. SHAPIRO: Will you play another song for us? KAHANE: I'd be delighted to. This is called "What If I Told You." (Singing) What if I told you that I'm on this train because my two grown sons were frightened, me driving through the night on a stretch of farm-stand highway in Mississippi, 'cause they don't need a hood or a cross or a tree. This is pretty near verbatim to a conversation that I had. And I think I owe her a phone call (laughter). SHAPIRO: Do you have her phone number? KAHANE: I do have her email address. We exchanged emails. We talked for maybe three hours. And there are a lot of things in play here having to do with race, economic privilege, reconstruction. And this was a song that I think I sort of knew that I had to write but also felt really uncomfortable writing. (Singing) 'Cause they don't need a hood or a cross or a tree. They don't need a hood or a cross or a tree. I kind of sat for maybe five months paralyzed before I was able to really write about any of the people that I met because I did feel that it was messy and kind of ethically murky. But it sort of feels like the only way to have a more just society that's - that is more economically just and racially just is to listen to each other. SHAPIRO: The conclusions that you describe from this trip sound very hopeful - that the divisions among us are really invented and manufactured. And yet a lot of the songs on the album don't sound especially hopeful. There are songs about death and sickness and racism and really bleak, dark, sad stuff. KAHANE: Yeah. I mean, I guess I would say I am simultaneously hopeful and horrified. There are really, really serious grievances that need to be addressed and confronted and worked out. And I think that when we step outside of our silos and when we step outside of those spaces that are invented to keep us divided, it's not that all of our differences are going to disappear. There are still going to be real grievances and real differences and things that have to be worked through. But I think we can perhaps begin a real conversation about how to grow and move forward. SHAPIRO: Gabriel Kahane, it's been great talking with you. Thanks so much for coming into the studio. KAHANE: It has been such a pleasure, Ari. SHAPIRO: Would you mind playing one song to take us out? KAHANE: I would be delighted. This is "Little Love." SHAPIRO: Gabriel Kahane's new album is called "Book Of Travelers." KAHANE: (Singing) A long gray silence had ambled down the coast. You drew in sand all the things we'd miss the most. Little love, little love. Transcript provided by NPR, Copyright NPR.